I was disappointed with my homemade puff pastry when it first came out of the oven. In my mind it didn't rise as much as I had expected, and I was quite unhappy to see that the top layer slid off and some filling spilled out... but it tasted SO DAMN DELICIOUS. I mean, it's mostly butter - how can it not taste delicious? 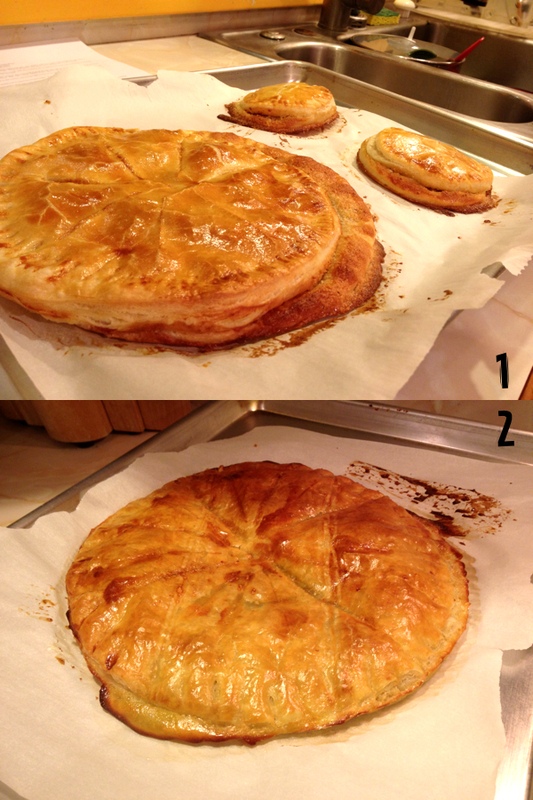 I actually made one big galette alongside two smaller ones, as you can see. My filling was very loose and thus I had plenty to go around. Actually, the filling being loose irritated me more than the lack of rise from my pastry; I could barely get any filling onto the pastry without it leaking all over the counter! The recipe I used doesn't include any flour, but after doing a little research I found that most other recipes do add a bit of flour, which I'm sure helps solidify the filling enough to be able to spread it. Since I ended up with so much filling left over, I made another galette a few days later, but with store-bought puff pastry to save some effort. I also added a layer of raspberry jam before closing it up. That one definitely rose more, and stayed together... but it didn't taste nearly as good as the homemade puff pastry. Which means that next year, I'm making the puff pastry from scratch again, and hopefully get more rise out of it. 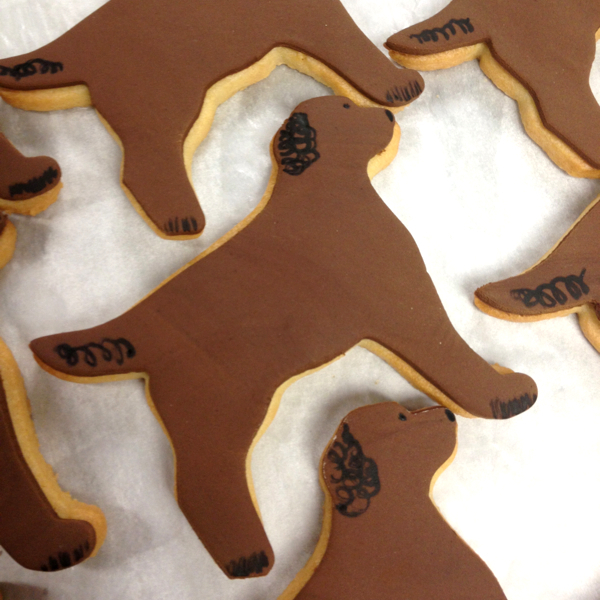 In other edible news, I made and decorated Labradoodle cookies for a special order at work the other day. I have never seen a Labradoodle before in my life, but I looked it up online and tried my best to represent it in cookie form. 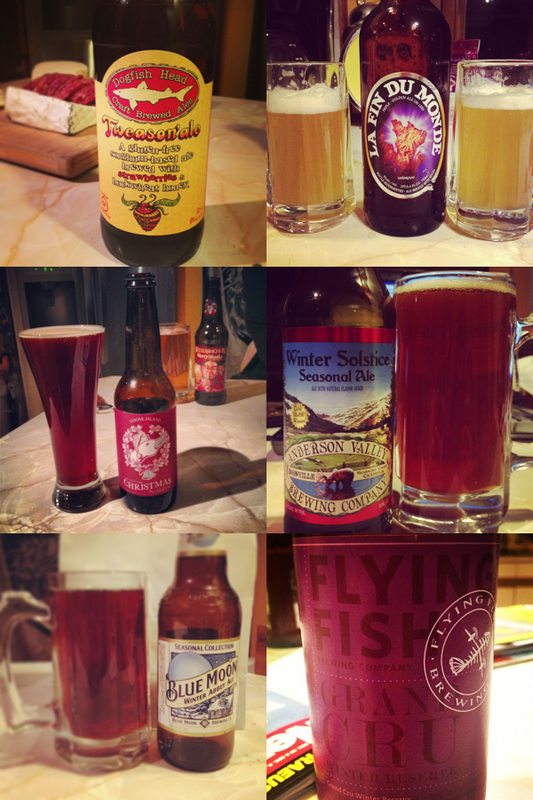 Shawn and I have also been on a beer tasting kick lately. From my instagram feed you might think I was an alcoholic or something. Really though, it's just that every time we go to Wegmans we can't help each walking out of there with a build-your-own six-pack of beers. And I like to document them all on instagram because I will forget what I picked otherwise! I've been loving all the winter seasonal brews. I hope you all had a wonderful Wednesday!